It's no secret that Hollywood has a dismal record of hiring non-white actors for prominent roles. In the past 25 years, just 11 percent of non-white actors have been nominated for Academy Awards, according to Time magazine. When movie executives are asked why they don't hire more actors of color, a common refrain is that non-white stars aren't bankable. 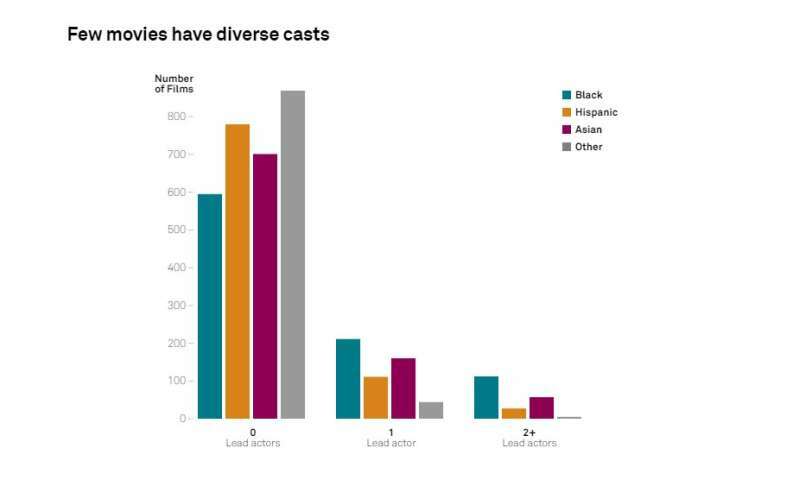 Northeastern assistant professor Venkat Kuppuswamy looked at this response and saw a research question: Is it true that movies with more diverse casts don't sell? Among U.S. audiences, finding the answer was one thing. Among international audiences, he had to rely on an unlikely source: the hack of Sony Pictures data by North Korean hackers in 2014. In both cases, his research was conclusive. Kuppuswamy found that movies with racially diverse casts are more profitable than those with all-white casts, upending the oft-used rationale that they aren't. 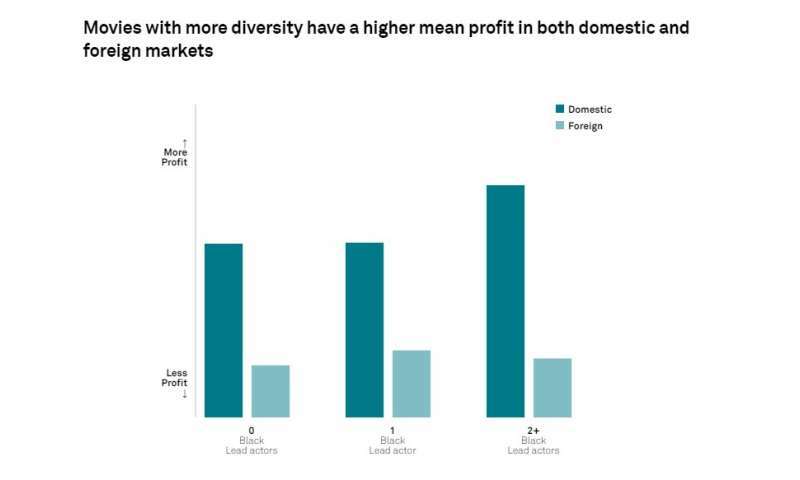 "Diversity has a premium both domestically and abroad," said Kuppuswamy, who studies the economic effects of the decisions based on diversity that companies make. "Even the argument that foreign box office figures would be hurt by diverse casting is false." In order to understand the effect of diverse casting on international audiences, Kuppuswamy and Peter Younkin, Kuppuswamy's colleague at the University of Oregon, realized they would need access to closely-guarded international profit and loss statements from production houses. Among the massive amount of private Sony data that the hackers made public were international financial statements, as well as emails between executives debating the viability with international audiences of movies such as The Equalizer (which stars Denzel Washington, a black actor). With this information, Kuppuswamy and Younkin were able to see the relative international box office success of movies with racially diverse casts. The figures showed that international audiences were "pro-diversity, or at worst, agnostic," Kuppuswamy said. Examining the effect of diverse casting on movie success in the United States was a bit easier. Kuppuswamy and Younkin collected ticket-sale numbers and profit data for hundreds of movies produced between 2011 and 2015 that had zero, one, or at least two black actors in lead roles from cinemas in both majority-white and majority non-white cities across the nation. So, for example, the pair looked at box office data from audiences in Seattle (which is 66 percent white) and Atlanta (which is 54 percent black or African-American) in order to understand how diverse casts were received by both white and non-white audiences. 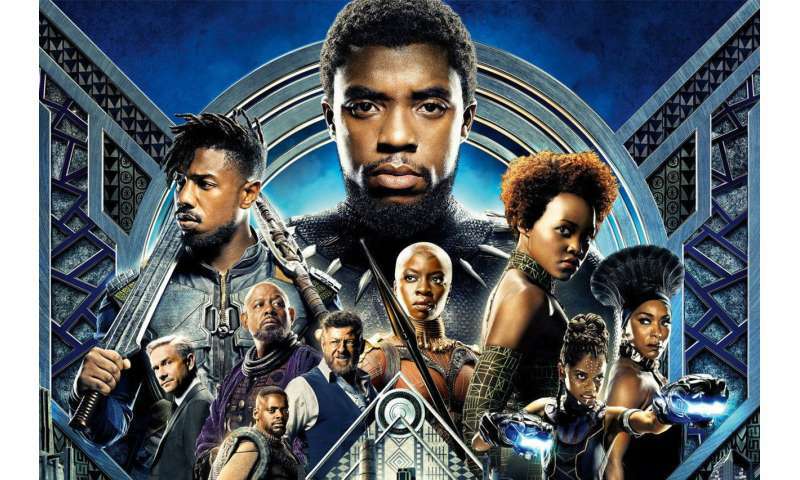 "Diversity had no negative effect on white audiences, and different kinds of diverse populations all reacted very favorably to movies with at least two black actors," Kuppuswamy said. 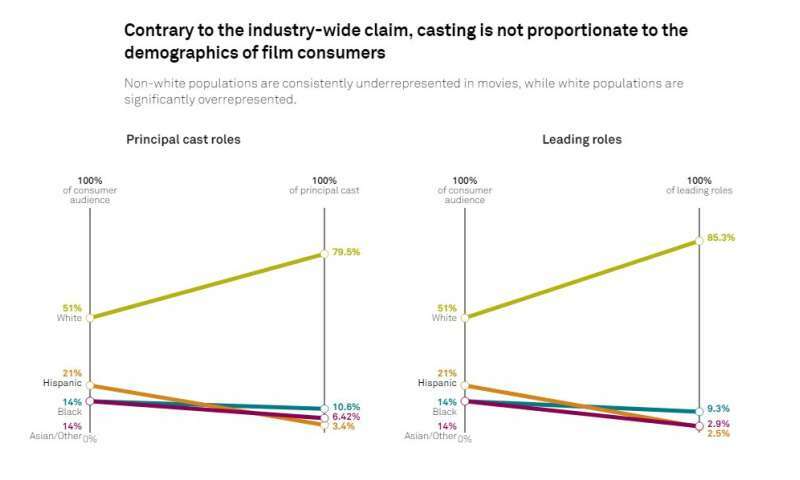 Kuppuswamy and Younkin evaluated only the effect of hiring black actors because "there are so few movies with a diverse cast that include Hispanic or Asian cast members that the sample size would have been too small" to produce statistically significant results, Kuppuswamy said. The researchers tested their theory a second way, by casting black actors in lead roles of scripts for movies that had not yet been made, and showing those scripts, again, to audiences in both majority-white and majority non-white cities. They asked audience members to evaluate the movie based on the script and cast list. Here, again, their results were clear. "When you just changed the picture of the leading cast members, the sense of realism and uniqueness increased significantly," Kuppuswamy said. These executives always seem surprised when movies with diverse casting do well, instead of just realizing there's a market for them." Everyone knows Hollywood figures out ways to ensure that there are never any profitable movies. Having profits means that you have failed to capture potential cost overruns.